Join Southwest Seminars and popular geologist and geo-educator, Dr. Kirt Kempter, for a week of spring hiking in spectacular Colorado Plateau country in and around Zion National Park. Kirt has hiked and explored this region extensively and will guide us on his favorite trails many of which are well off the beaten path. 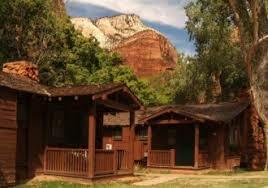 Our base for exploration will begin in St. George, UT at the elegant Inn on the Cliff hotel and end at the historic National Park Service cabins within Zion National Park. 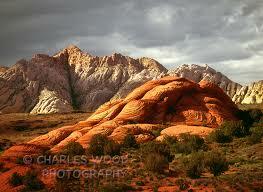 Navajo sandstone will be our geologic focus. This sedimentary unit represents the largest known lithified erg deposit in the world and is approximately 2,200 feet thick at Zion National Park. The vast dune field was active between 190-180 million years ago and covered much of present day Utah and extended south into Arizona and north as far as Wyoming. We will examine in detail the sedimentary structures preserved in the deposits, including herringbone crossbedding, liesegang banding, soft-sediment deformation, and diagenetic concretions. Throughout our journey Kirt will present the geologic stories told by the rocks and landscape including ancient oceans, swamps, rivers, and sand dunes that have all experienced their place and time on the Plateau. 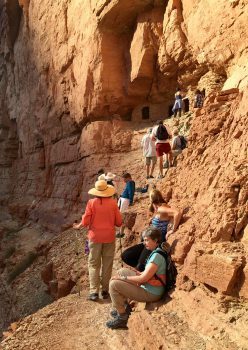 This tour provides the perfect outdoor classroom to discuss fundamental concepts of geology and how ongoing geologic processes have shaped the modern landscape of the Colorado Plateau. Our geologic explorations begins on the first day at Snow Canyon State Park, less well-known than Zion and therefore less often explored, where we will observe a geologically young volcanic lava flow that poured into a stunning canyon carved into the Jurassic Navajo sandstone followed by a visit to the intriguing Dinosaur Discovery Site at Johnson Farm. 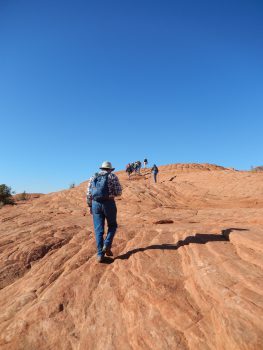 The next two days we continue to explore beautiful formations, textures and vistas in the Navajo Sandstone on hikes in the Red Cliffs National Conservation Area northeast of St. George. Having spent three active days in St. George we depart for Zion National Park, with hikes along the way, the Virgin Anticline in the morning and Kolob Terrace in the afternoon before arriving in Zion. There we spend two nights and have another full day to exploring one or more of Kirt’s favorite trails in Zion’s main canyon. 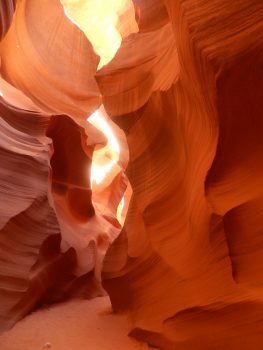 En route back to Santa Fe, there will be a visit to Antelope Canyon east of Page, Arizona. This stunning slot canyon has become a photographic icon of the Colorado Plateau and we will be accompanied by Kirt along with a local Navajo guide. Join Southwest Seminars and Vulcanologist Dr. Kirt Kempter, our favorite rock star, on a day hike to the scenic Ball Ranch, ‘seldom visited public land. Learn about the geologic story told here from the Cretaceous to the Tertiary and the eventual demise of the Ortiz Volcanic System. A major east to west arroyo cuts through the ranch area which is located southeast of San Felipe. View an entire sequence of Cretaceous to Tertiary strata that are exposed along an arroyo. The strata are tilted approximately 20 degrees down to the east. As we hike down the arroyo toward the west we move through progressively older strata. On the east side the arroyo passes through the Espinaso Ridge composed of volcanic and sedimentary deposits from the Ortiz Volcanic Center which was active between 30 to 26 million years ago. On the west side of the ridge are exposures of older Tertiary strata including the Galisteo Formation and the Diamond Tail Formation. From there we enter the Cretaceous sea deposits including fossiliferous strata with common oyster and reef beds. An extra Kirt ‘carrot’ is opportunity to see a petrified forest. 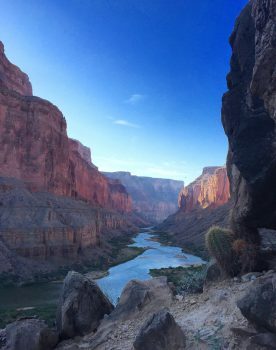 Join Southwest Seminars for the experience of a lifetime led by Geologist Wayne Ranney, author of “ Carving Grand Canyon” and social anthropologist, Dr. John Ware and featuring 7-days rafting the Colorado River through the legendary Grand Canyon and 6-nights camping under the stars. 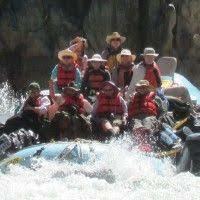 We raft into the Canyon beginning at Lee’s Ferry and exit the canyon via scenic helicopter and private charter airplane. The trip includes hotel lodging and dinner the night before the excursion as Wayne and John set the stage for our grand adventure and another night and dinner after the trip wrap-up as we celebrate our amazing journey through the vividly colored Grand Canyon, a 7-day study tour on the most coveted raft trip in the world. Learn the story revealed in the thick sequence and variety of rocks exposed in the walls of the canyon which provide a record of the Paleozoic Era (550-250 million years ago). View scattered remnants of Precambrian rocks at the bottom of the Canyon. 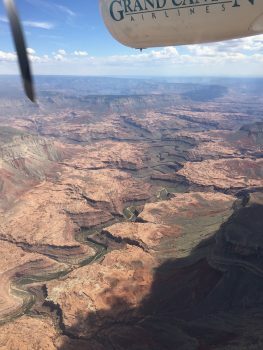 Discuss the origin of the canyon and how the complexity of erosional features of the Colorado River and precipitation created and continue to shape the canyon. Learn about the variety of species of mammals, reptiles, fish and birds that make the Grand Canyon home, including many threatened and endangered species and plants that have found a refuge in the Park’s protected lands. Discover the more than 5,000-year human history and native importance of the canyon to ancestral Pueblo, Hopi, Havasupai, Navajo, Hualapai, Paiute and Zuni tribes. Follow the story of the pioneering journey in 1869 of John Wesley Powell down the river. 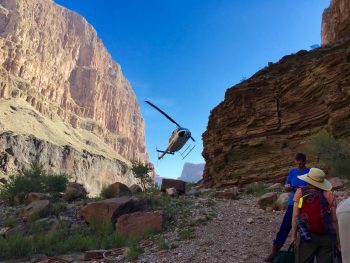 These features have made Grand Canyon National Park a World Heritage Site, a designation honoring its natural and cultural resources, a shared inheritance for all mankind. Dr. John A Ware is a distinguished Southwest archaeologist and social anthropologist. He served as Executive Director; Amerind Foundation and was foun ding director, NM Museum of Indian Arts and Culture. He is an author, A Pueblo Social History: Kinship, Sodality and Community in the Northern Southwest. As a study leader, John has led many tours throughout Indian Country and has for many years studied the social organization of Eastern Keres Pueblo peoples along the Rio Grande corridor. At Amerind, he sponsored many symposia featuring prominent scholars who gathered on campus to meet and discuss issues in Southwest anthropology, archaeology, and ethno-history while sharing ideas and new research which produced cutting-edge books on research topics. 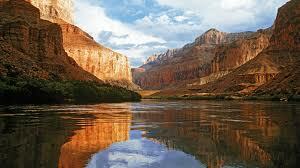 Trip Description: The Colorado River is The Best Known Rafting Location in the World. Our 190-mile trip between Lee’s Ferry and Whitmore Wash has been selected by Wayne as it coversthe most scenic and geologically significant sites within the canyon in just the right balance of time on the river and off-river site exploration. We begin our journey with slow moving rapids, which increase in intensity as we travel further into the Canyon. There is plenty of whitewater excitement, including some of the most famous “drops and falls” in the world: Horn Creek, Hermit, Crystal and Lava Falls. 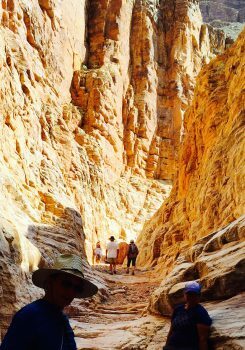 We’ll hike beautiful side canyons with cascading waterfalls, turquoise pools, and the cooling shade of hidden grottos and enjoy stargazing at night. Visit interesting historical sites only accessible by the river, study unique geological features, and gain a comprehensive educational perspective on the geology and natural history of this majestic canyon. Marvel at ever-changing vistas and panoramas revealed at each twist and turn of the river. Along with the amazing scenery and geo-education we’ll enjoy periods of profound peace as we drift quietly through narrow corridors of polished granite. Trip Details: The trip will be in 37 foot motored raft as they are more comfortable and safer for thi s kind of expedition and the preferred mode for this river excursion by Wayne. The motors are quiet and able to be turned off as opportunities for drifting allow. Our highly recommended outfitter, Colorado River & Trail Expeditions (CRATE) has been in business since 1971 and features knowledgeable, trained and experienced river guides, who are excellent outdoor chefs, enthusiastic river companions and certified in CPR, Wilderness Medicine and River Rescue. The weather is usually pleasant in May. When it is hot, it will make those rapids so much more welcoming. Random thunderstorms might result in amazing waterfalls off the rim or cactus blossoms along our journey. Our trip begins (1st day) with a welcome dinner and lecture by Wayne Ranney and Dr. John Ware at Cliff Dwellers Lodge in Marble Canyon, Arizona. Includes: 9 days and 8 night tour includes: Full outfitter services for 7 full days of rafting in 37’ motorized rafts, 6-nights deluxe camping including cots, foam pad, sleeping bags, chairs, tents (and stars), 2 nights lodging at Cliff Dwellers Lodge, all meals at the lodge and on the river. Helicopter/airplane flight transfer back to Lee’s Ferry. Study Leader honorarium, river guide gratuities, admission, fee for our services. Join Southwest Seminars and anthropologist Dr. John Ware for an active tour to remote sites in the remarkable Bears Ears National Monument. A rare opportunity to walk with respect among ancestral sites, great houses, granaries, kivas, towers, painted walls, gathering places, shrines and rock art, untethered by paved pathways and chained fences to marvel about the people who created such beauty. Established in 2016 by President Obama, Bears Ears National Monument—named for two prominent buttes skirting the northern edge of Cedar Mesa—encompassed 1.35 million acres of rugged mesa and canyon country in southeastern Utah. In 2017 the Trump administration reduced the monument by creating two much smaller noncontiguous areas totaling just over 200,000 acres (a decision currently being challenged by multiple lawsuits). Archaeologists believe that the original monument boundaries contained over 100,000 archaeological sites—the ancestral footprints of Pueblo, Paiute, Ute, and Navajo peoples. Much of the significance of these fragile cultural resources relates to the region’s geographic isolation. Far from large population centers and with only limited road access, the archaeology of Bears Ears Monument, in comparison to other sites, is relatively undisturbed. The breadth of Bears Ears history is impressive, from a well-documented 13,000 yr. old Clovis hunting encampment to stratified remains of Archaic hunter-gatherers who traversed Bears Ears between 10,000-4,000 years ago. Atop Cedar Mesa and in remote canyon rock shelters are the remains of Basketmaker II (400 BC to 400 AD) Ancestral Puebloans farmer-hunter-gatherers. Subsequent Basketmaker III (600-700 AD) and Pueblo I (700-900 AD) farmsteads are scattered throughout the mesa and canyon country. Great houses built in Pueblo II times (900-1100 AD) were accompanied by ritual ‘roadways’ and sacred shrines, linking them to Chaco Canyon one-hundred miles to the southeast. 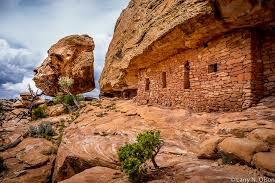 Depopulated by Ancestral Puebloans in the AD 1260s, along with most of the rest of the southern Colorado Plateau, the region was reoccupied in the late prehistoric and early historic periods by ancestors of Paiute and Navajo peoples. The cultural landscape of the Bears Ears region figures prominently in the histories and oral traditions of many indigenous Southwestern peoples, and supporters are challenged to preserve & protect their heritage. Join us to learn about the cultural connections between modern Native Peoples and these sacred places now held in tribal songs and stories. 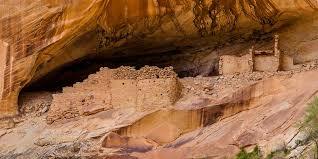 Learn about the earliest pre-ceramic farmers of the northern Southwest, the distinctive red ware pottery manufactured in southeastern Utah and traded throughout the greater Southwest, the many historical connections between Bears Ears and Chaco Canyon’s ritual traditions, and the depopulation and migration of Ancestral Puebloans in the second half of the thirteenth century. Recent studies of perishable artifacts from Bears Ears provide stunning examples of ancient arts and crafts that survived for millennia in the region’s many dry rock shelters. For example, studies of yucca sandal weave patterns from Bears Ears suggest they may have been used to signal community affiliations & perhaps the identity of the wearer’s tracks in the sand! JOHN WARE is a distinguished Southwest archaeologist and social anthropologist. The author of A Pueblo Social History: Kinship, Sodality, and Community in the Northern Southwest (SAR Press, 2014), Ware was the founding director of Santa Fe’s Museum of Indian Arts and Culture and served fourteen years as Executive Director of the Arizona’s Amerind Foundation, where he sponsored nearly forty advanced seminars and edited over a dozen books on Southwest archaeology, anthropology, and ethnohistory. 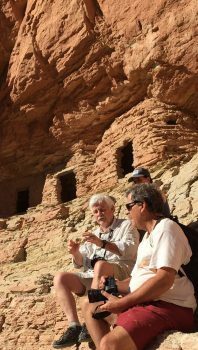 As a study leader, John has led many tours to Indian Country for Southwest Seminars, the Amerind Foundation, School for Advanced Research, Crow Canyon Archaeological Center, and the Museum of New Mexico’s Office of Archaeological Studies. DR. JOSEPH SUINA (Keres) is Professor Emeritus from the UNM College of Education and is a former Governor of Cochiti Pueblo. He devotes himself to farming, family and the Cochiti tribal council and issues. He has led numerous educational programs for Southwest Seminars, the Amerind Foundation, Colgate University, Crow Canyon Archaeological Center and many other educational institutions and oral history programs. 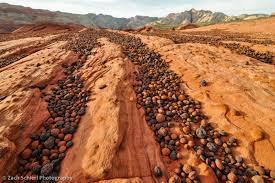 TRIP DESCRIPTION: The trip begins on Wednesday, October 16 at the Edge of the Cedars State Park Museum in Blanding, Utah, where a personal tour sets the stage for the week to come as we learn about ancient textiles, sandals, vessels and tools used for ritual ceremony and everyday life. We continue onto our hotel in Bluff, our home for the next week. 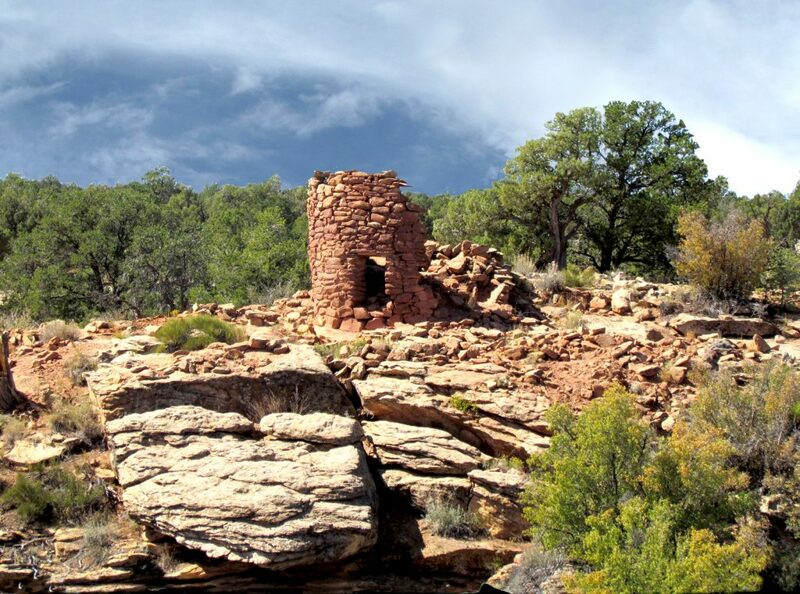 We spend the next six days immersed in Cedar Mesa while hiking some of the best “off-the-beaten-path” backcountry spots while we learn about ancient sites and rock art left by the Ancestral Puebloans. We will spend 5 days hiking to some of the most popular scenic sites including Moon House, Citadel, Procession Panel, Monarch Cave, and Target Ruin, one of the oldest known cliff dwellings and whose rock art depicts special types of sandals and a winter solstice calendar. 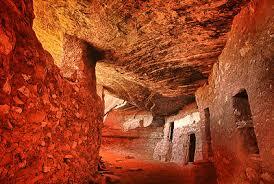 We will also visit House on Fire, Arch Canyon Overlook, and Cave Tower Ruins. Additional sites such as Wolfman Panel, Fallen Roof Ruin, Bluff Great House or Salvation Knoll as time and interest allow. A leisurely day gently rafting the San Juan River under golden cottonwoods from Bluff to Mexican Hat and hikes to visit River House Ruins and the famous Butler Wash petroglyph panel. You return to Santa Fe after breakfast on Wednesday. DETAILS: Popular Desert Rose Inn and Cabins will be our home for 7 nights, a welcome retreat after active days hiking. Wild Rivers Expeditions will be our outfitters for the trip, trained and experienced guides who will be driving our 4x4 vans, rowing our rafts and providing a helping hand over a steep rock. 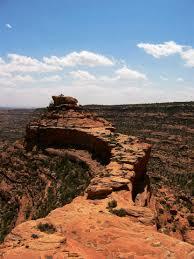 Access to some Cedar Mesa sites is restricted. Southwest Seminars has secured the required special permission. Meals are included, most often hotel breakfasts, picnic lunches during hikes in a mix of casual or hip restaurants, a dinner in a private gallery and a sunset cook-out on Muley Point with its spectacular views of the Goosenecks of the San Juans and Monument Valley beyond. Participants must be in good health and able to hike up to 5 miles a day over rugged terrain and un-established trails with some altitude gain or loss, be willing to do a bit of rock scrambling and not too afraid of heights. Your Cedar Mesa sites are located off dirt roads and usually include a bit of bouncing around in 4x4 vans driven by our outfitters to access the trailhead. While Cedar Mesa area of Bears Ears is popular with rock climbers and long distance backpackers, our locations are rated easy to moderate. A leisurely pace allows our study leaders to tell their story while viewing some of the most dramatic sites in Bears Ears. 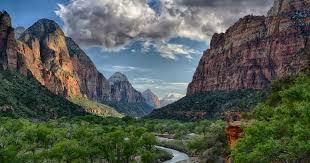 Includes: 7 days activities and 7 nights lodging at Desert Rose Inn and Cabins. Land and river expedition guides, 4x4 vans with drivers for transfer to the sites, 3 meals a day, as yummy as we can find, Study Leader honoraria, river and land guide gratuities, admissions, special permits and fee for our services. Contact Southwest Seminars to reserve your space and request a registration packet. Images from Southwest Seminars and the Web.